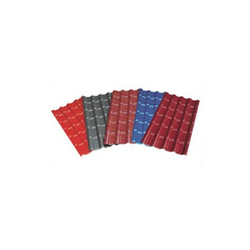 Our range of products include polytuff spanish tile roof sheet and color coated tile sheet. 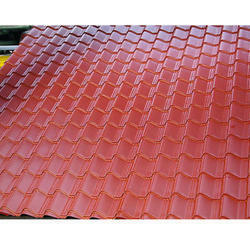 We bring forth for our clients extensive assortment of Polytuff Spanish Tile Roof Sheet. Available in vibrant colors that suit Indian architectural style, these sheets are made of top quality PVC. Highly appreciated by our clients due to their high tensile strength, durability, light weight waterproof and fine finish, these sheets provide benefits like heat insulation, chemical resistance, pollution resistance. Suitable for roofing for all types of Indian Conditions, these sheets are colorfast and do not fade easily. Looking for Tile Sheet ?